Have I mentioned how much I love this time of year? New product releases everywhere you look and some very fun teases for yet-to-be-released accessories and gear. It’s perfect! The folks at Pro-Line have been working overtime in the teaser department, and have shared a sneak peek at three upcoming products, including two scaler bodies and a new model kit. 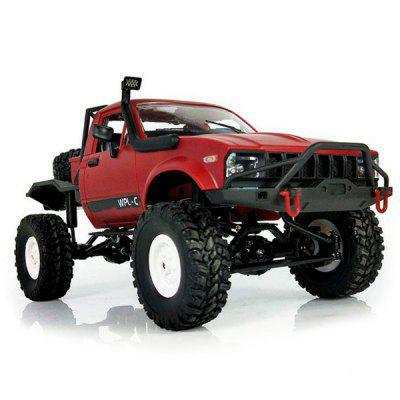 The two body options feature 1/10-scale replicas of the Chevrolet Colorado pickup (for the Axial SCX10/SCX10II) and a throwback 1965 Toyota Landcruiser (for the Traxxas TRX-4). Each beautiful in their own right, these new bodies should give hobbyists plenty of customization options heading into the new year. For those who love to build their R/C machines from scratch, the Pro-Fusion SC 4×4 is an upcoming 1/10-scale short course truck kit that will let fans of go-fast vehicles create their own four-wheel drive SCT from the ground up. While major details have yet to be released, this model appears to carry a price tag of $399.46. As always, check out the social media profiles for Pro-Line to stay up-to-date on their latest releases and upcoming products. I know I’ll be doing the same!